This week we chat with a fellow Desi Outsider, Abhishyant on his radical change of career choice during his final year of Mechanical Engineering. 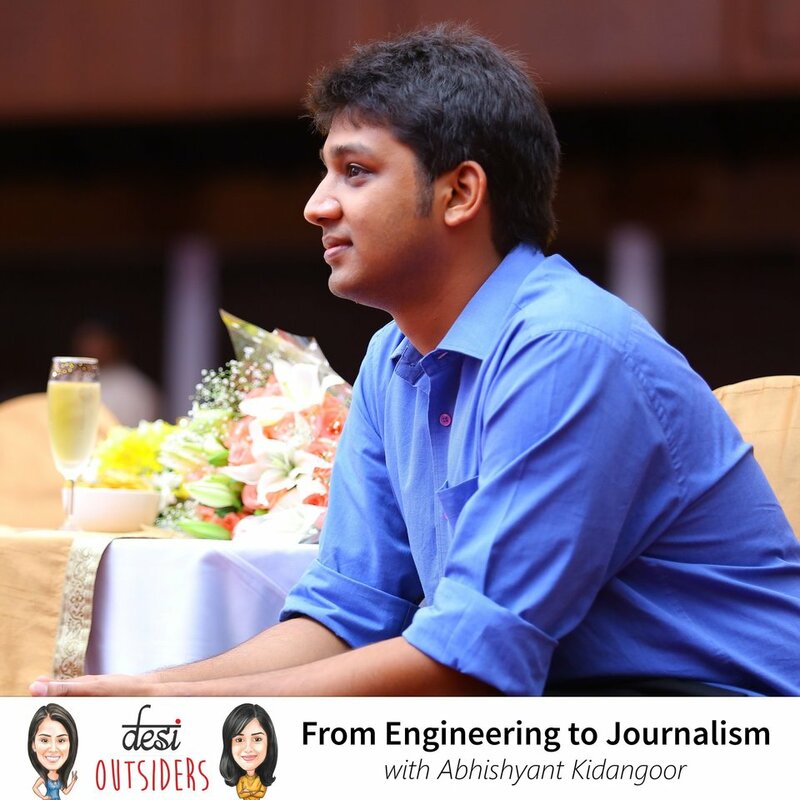 Abhishyant chose to complete his studies in Engineering, only to make the switch to Journalism immediately after his graduation. We discuss his journey from VIT to CNN-IBN to Columbia School of Journalism in New York. We absolutely loved speaking to him, and hope that you enjoy listening to our conversation.